When businesses are dealing with commercial collections agencies, it’s time to contact Denver Bankruptcy Attorney Arthur Lindquist-Kleissler. Figuring out the answers to these issues may be more challenging for some businesses than others, but it will be key to determining the best options for seeking relief from commercial collections and resolving the business’ financial issues. At Lindquist-Kleissler & Company, LLC, our Denver Chapter 11 bankruptcy attorney is experienced at helping corporate entities and business owners confront financial crisis, stop commercial collections and ultimately obtain the best possible resolutions to serious debt issues. Negotiating a debt settlement – In some cases, a business may be able to work out an agreement to pay a collection agency and/or creditors a fraction of the debt owed. Collection agencies and creditors are typically most open to negotiating a settlement when a business contacts them sooner (rather than later) after a default on a payment and when that entity will be able to pay the negotiated settlement within about 30 days of the agreement.Generally, the longer businesses wait to negotiate settlements after having missed payments and the longer they request to pay back the outstanding debt, the less likely collection agencies and creditors will be to agree to a reduced debt settlement. Setting up a payment plan – If businesses have defaulted on debt payments, setting up a structured payment plan with a collections agency or creditor can be effective at stopping these entities from contacting a business about payment.However, with this debt relief solution, businesses must make sure that they will be able to make scheduled payments on time and in full – otherwise, they may trigger collections agencies and creditors to take legal action against them and/or make these agencies/creditors less willing to work out settlements in the future. Filing for Chapter 11 bankruptcy – When businesses are facing multiple commercial collections agencies and/or creditors and there is not a feasible way for these businesses to pay off any of their outstanding debts, filing for Chapter 11 bankruptcy may be the best option for helping challenged businesses resolve their financial issues.With business bankruptcy, having an experienced attorney oversee the case will be critical to minimizing potential headaches or compounding financial issues for businesses and to helping these entities obtain the financial fresh start they may need to move forward. 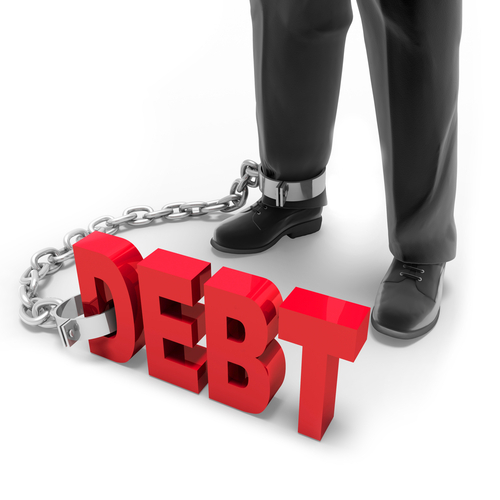 If your business is facing a serious financial crisis and is being regularly contacted by commercial collections agencies or other creditors, Denver Bankruptcy Lawyer Arthur Lindquist-Kleissler is here to provide you and your business with the debt relief solutions necessary to resolving these financial matters. For more than 34 years, Mr. Lindquist-Kleissler and the other legal professionals at Lindquist-Kleissler & Company, LLC have been providing businesses with the highest quality of legal services. From simple debt relief solutions to complex bankruptcy cases, Mr. Lindquist-Kleissler can always be trusted to help his clients achieve the best possible outcomes to their cases. Contact us by calling (303) 691-9774, or email us using the form on this page to set up a free 30-minute consult. You will pay nothing up front to obtain trusted, professional advice regarding your case and your options.